The Macmillan Social Welfare Team, comprising of Kevin Moore and Rebecca Webster, is part of the Macmillan Palliative Care Team based at St Andrews Hospice, and gives support to patients with a cancer or palliative care diagnosis and who have a GP within North East Lincolnshire. The team have completed their annual audits for 2018. This year they have supported over 500 patients plus carers and family members achieving over 6 million pounds in annualised benefit awards, grants and backdated arrears. This brings the total to over 28 million pounds since the service inception in August 2010. They have also been able to maximise patients income by obtaining almost £100,000 in grants from national and local charities. Besides the financial support they are able to help with housing issues, debts, Blue Badges, industrial injuries, compensation claims, advocacy, and in particular support with funeral poverty. In addition they were able to work with a local charity to collect and deliver over 60 donated food parcels to our patients at Christmas. 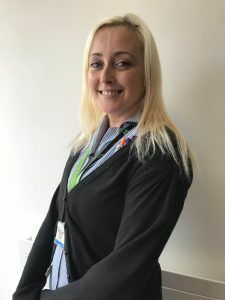 The introduction of Universal Credit has certainly brought its own problems for patients with a cancer and terminal diagnosis and the team have been able to support patients to process their claims. A major part of the help they give is to support patients/carers and family members with appeals against benefit decisions. The Department for Work and Pensions have recently issued statistics for Personal Independence Payment which shows that disputed PIP awards that have gone to the first stage of appeal – the mandatory reconsideration stage – have only a 17% success rate, i.e. 83% are unchanged. The teams audits show that they have over a 90% success rate. Similarly applications for a Funeral Payment for help with funeral costs have only a 60% chance of success. The team’s applications have a 100% success rate. The reasons for this being that this service has developed a process that ensures that any appeal at the mandatory reconsideration process challenges every disputed decision and is backed up by medical evidence, case law and patient experience. The team set out this challenge rigorously based on knowledge of the benefit system and PIP eligibility and criteria. Similarly any funeral payment application is based on the person taking responsibility for the funeral meeting the criteria. By taking the time and effort at this point they are able to overturn the vast majority of DWP decisions and ensure all benefits are put back into payment and arrears paid. Achieving these results for patients means that they avoid going to the next appeal stage which can take up to 12 months before it reaches the tribunal stage. It allows patients to concentrate on their treatment and recovery rather than worry about financial issues. It also means that family members taking responsibility for a funeral are not left with debts that can be in excess of £3000 to £4000.